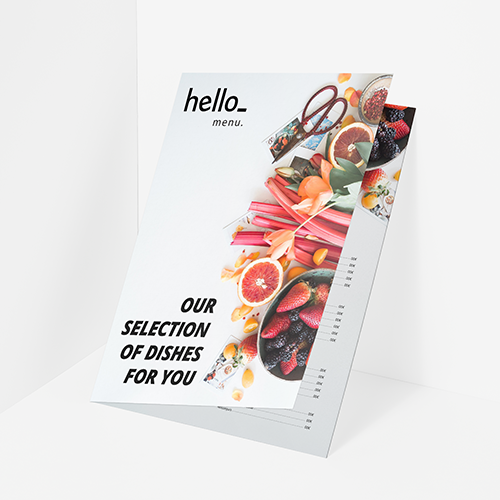 Simple yet oh so effective with Helloprint's Half Fold Menus! Is your menu mainly text? Then we'd suggest going with a matt finish for the best result! Want to entice your customer's hungry tummies? Go for a glossy material that is visually stunning, mouth-watering even. We also offer an eco-friendly option, so there's something for every catering concept! Will my Half fold menucards be folded at the delivery? 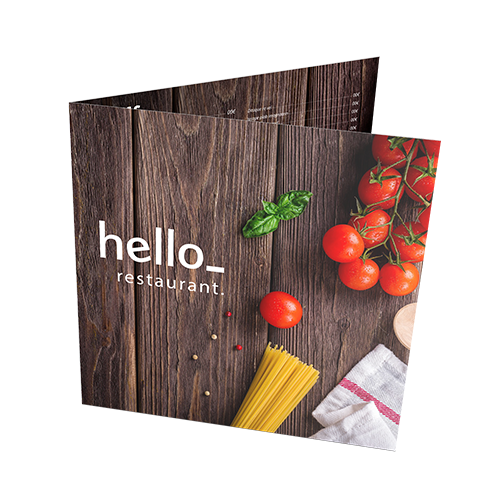 Half fold menucards are one of the most ordered and most popular marketing materials from our range. 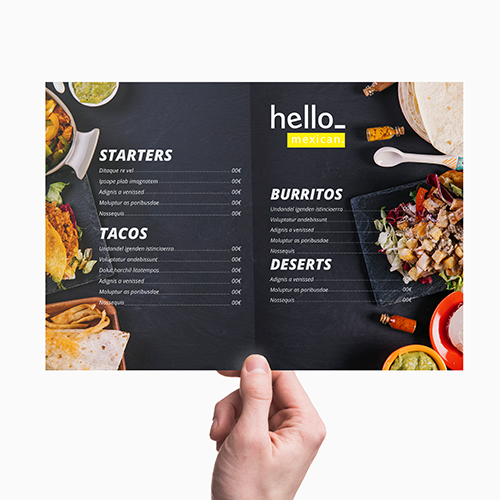 A Half fold menucards is a folded sheet of paper that can be printed completely according your needs and wishes. For the delivery of your half fold menucards we use multiple carriers. Because of the highest reliability, in most cases we use UPS or DPD. 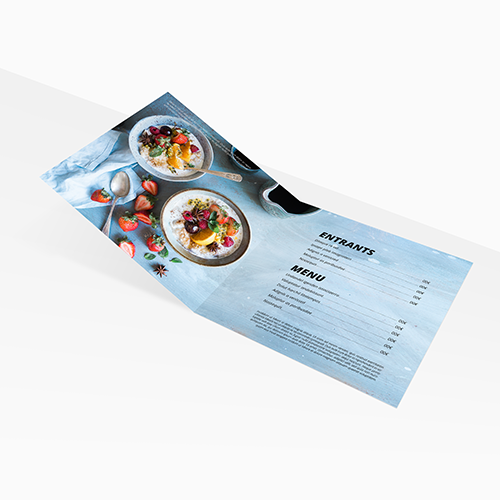 The half fold menucards that is chosen in most cases can be selected via our website. Yes, the Half fold menucards will be delivered folded. 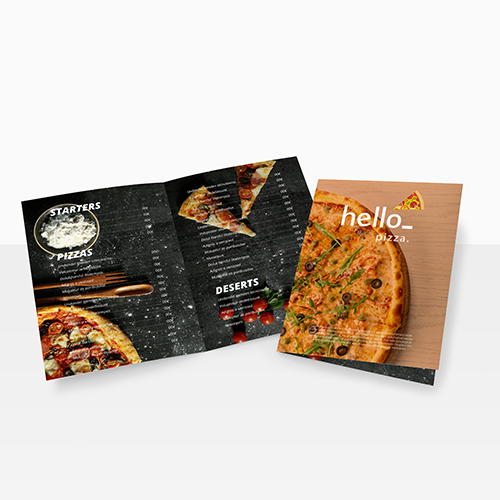 Half fold menucards with a papertype that is heavier then 170gsm, will be creased first before they're folded. This is done so the Half fold menucards won't break/become torn during the folding. Will my Half fold menucards be printed on both sides? Yes, Half fold menucards will be printed on both sides.